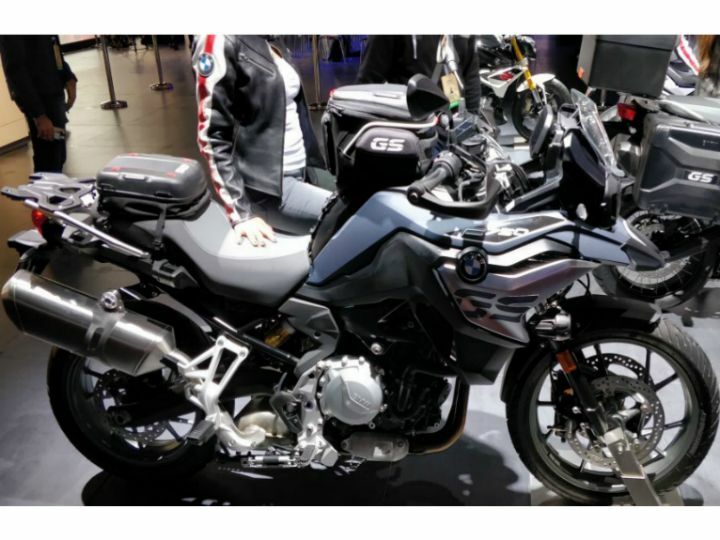 BMW Motorrad has launched the F 750 GS here at the Auto Expo 2018 at a price tag of Rs 12.2 lakh (ex-showroom India). Just like the F 850 GS, the F 750 GS can be booked now across all BMW Motorrad dealerships. The deliveries are set to commence in mid-2018. 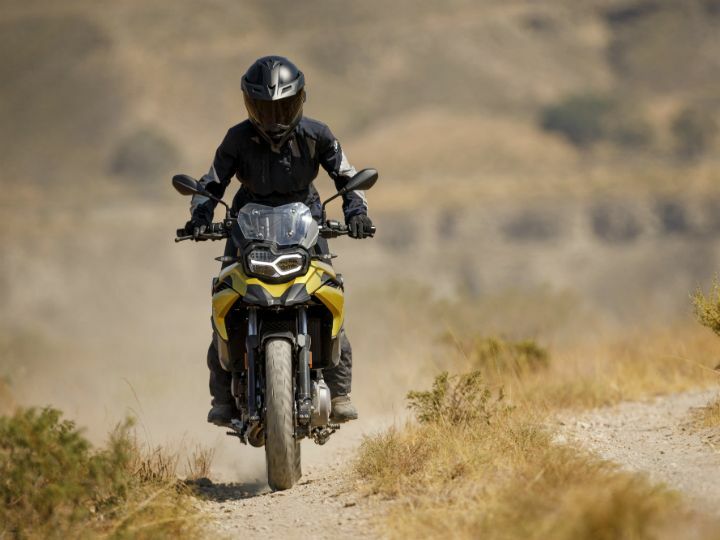 This middle-class adventure tourer will replace the F 700 GS internationally, while in India, it comes in as BMW’s youngest sibling in the GS family (for now). In terms of features, the F 750 GS sports a full LED headlight with optional DRLs and connectivity equipment with a 6.5-inch full-colour console. Other optional accessories include keyless ignition, Gear Shift Indicator Pro, Dynamic ESA and eCall connectivity. Mated to a 6-speed gearbox, the BMW F 750 GS is powered by an all-new 853cc, parallel-twin engine. It delivers 77PS of power at 7500rpm and 83Nm of torque at 6000rpm. The F 750 GS runs a lower state of tune than the F 850 GS (95PS of power at 8250rpm and 92Nm of torque at 6250rpm) for a more relaxed touring experience. 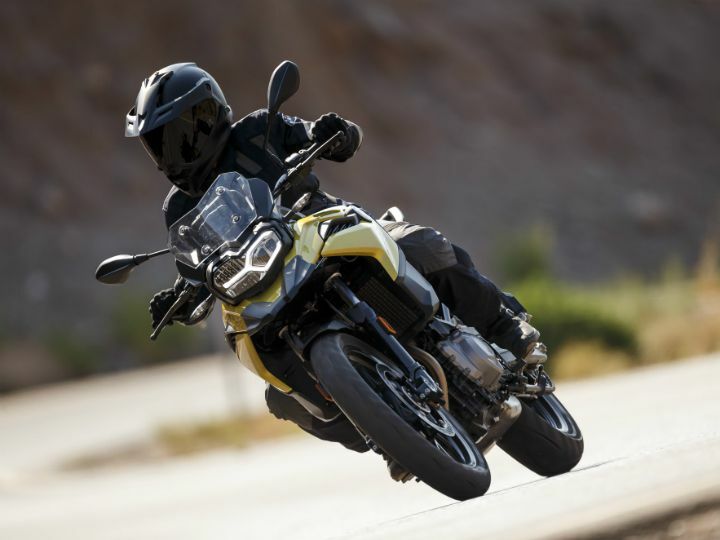 BMW has equipped the F 750 GS with a new monocoque steel frame, which comes with new suspension geometry and a new fuel tank position. Here, the engine acts as a stressed member, allowing for more weight reduction. Suspension duties are handled by new 41mm telescopic front forks with 151mm of wheel travel and a rear monoshock unit with 177mm of wheel travel. Braking is done by 305mm dual front discs while the rear gets a 265mm single disc brake. Compared to the F 850 GS, the saddle sits lower here - 815mm to be precise. 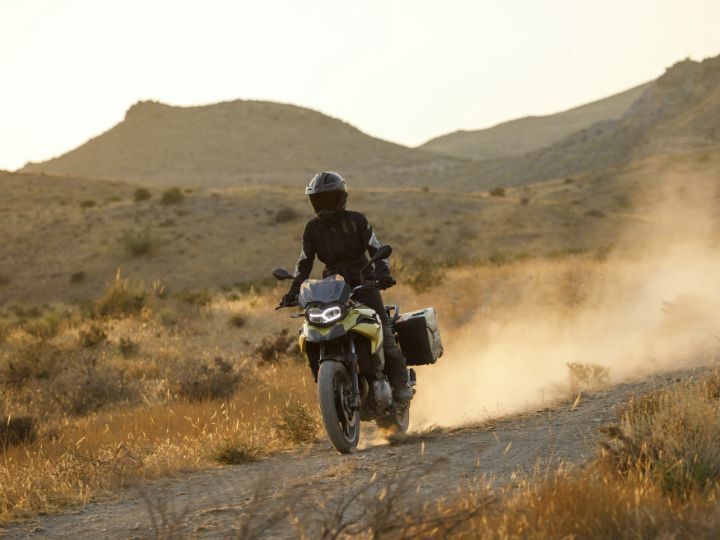 It comes equipped with two different riding modes - Road and Rain; with ABS and ASC further providing aid in tough terrains. You can also opt for additional riding modes like Dynamic, Enduro and Enduro Pro.